The Acer GN246HL is a decent 1080p gaming monitor. It has a TN panel with decent picture quality when viewed from directly in front, but the viewing angles are very narrow so even at a slight angle the image looks washed out. 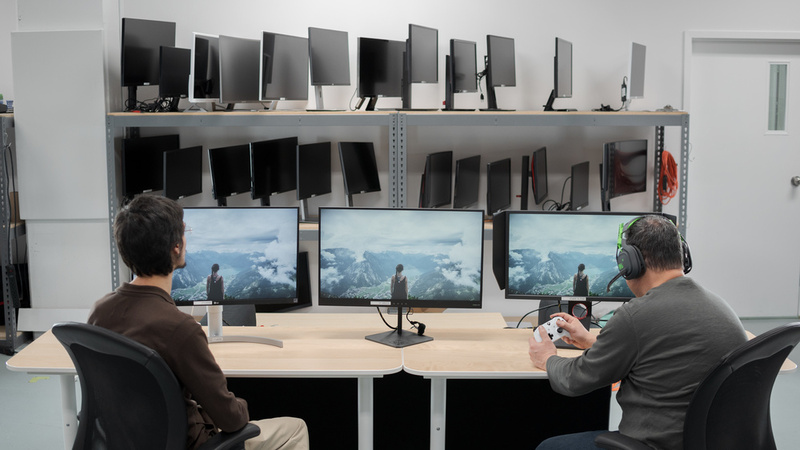 It is also possible to flicker the backlight to clear up fast motion for gamers, but it doesn't support more advanced features like FreeSync. The design of the Acer GN246HL is basic with a good build quality. 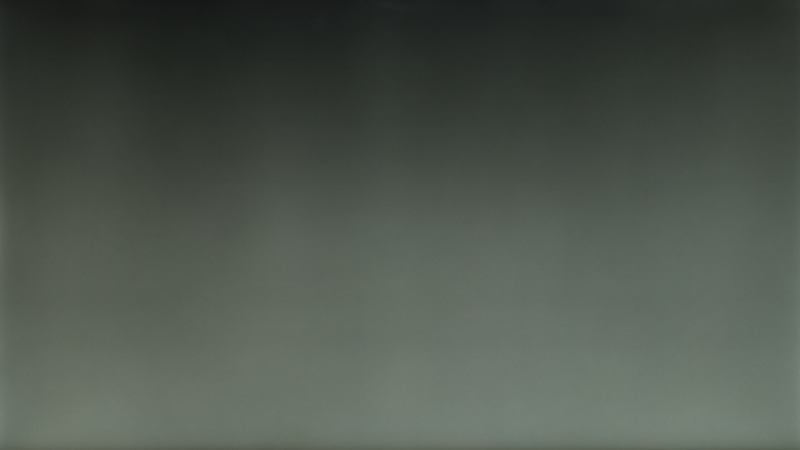 It's entirely made of plastic and does not feel high-end or look stylish. 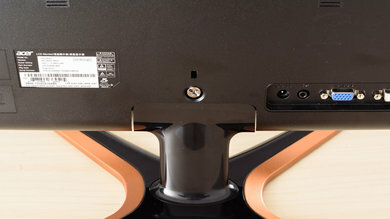 The stand supports the monitor well and there is no provision for cable management. 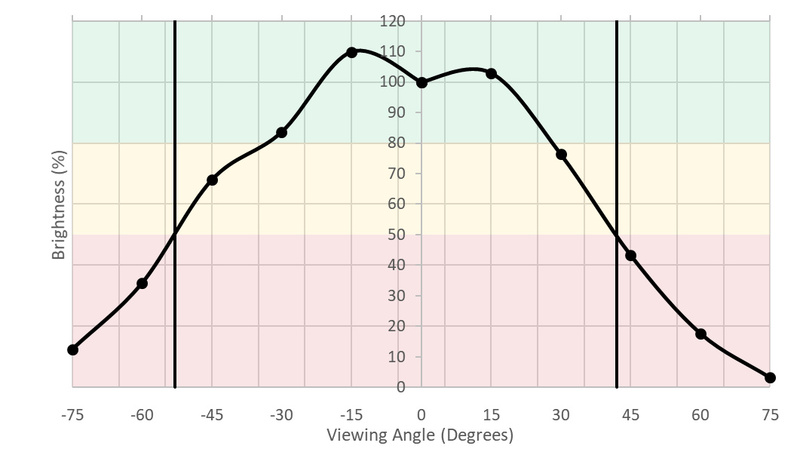 Adjustment options are only limited to tilt, which can make it hard to position it into a comfortable viewing position or to rotate it for sharing. It is a very thin and lightweight monitor, allowing mobile professionals to set up an office pretty much anywhere. 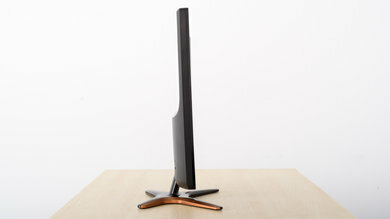 The X-shaped stand supports the monitor well. It has a fairly small footprint but feels sturdy. The ergonomic options are extremely limited. The tilt is the only adjustment available and it may be hard to position the monitor in a comfortable position. The rear of the monitor is quite plain. All the inputs are pointed outwards and there is no cable management. The borders are made of plastic and have an average thickness. 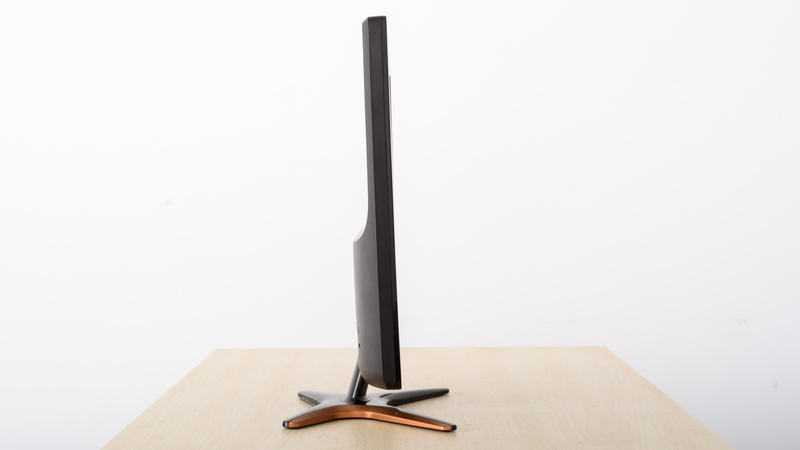 Without the stand, the monitor is one of the thinnest we have tested so far. 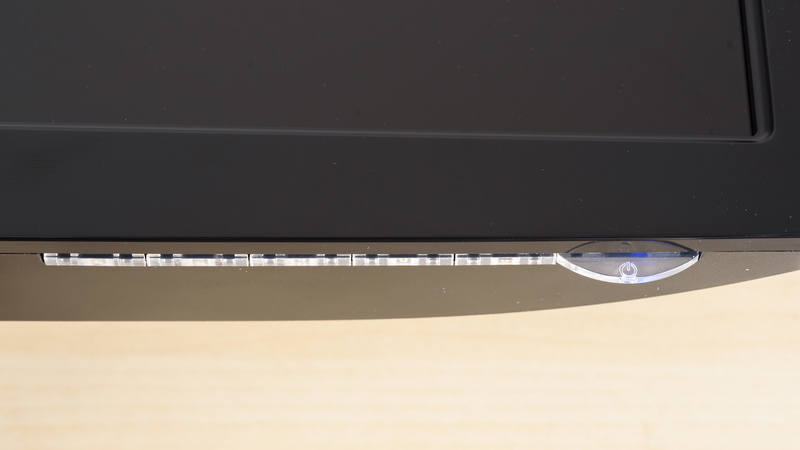 The build quality of the Acer GN246HL is okay. It is is almost entirely made of plastic, but does feel well constructed. The picture quality of the Acer GN246HL is decent. 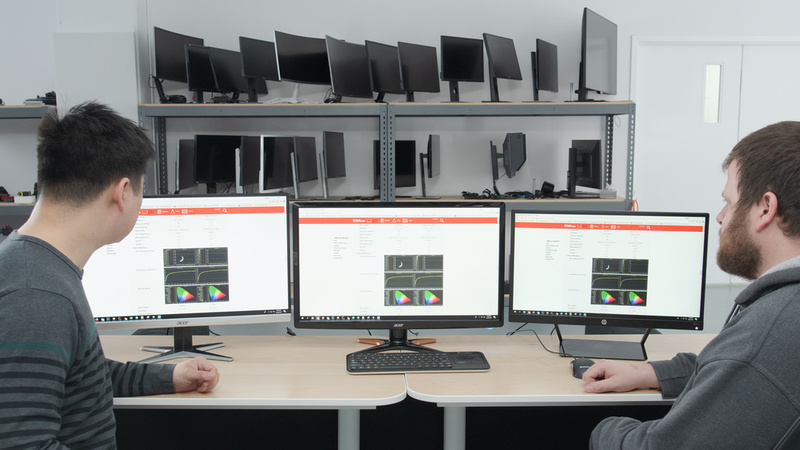 The monitor can display great colors when calibrated properly, and as long as it is viewed from the front since the viewing angles are bad.  The brightness is adequate for a bright room, but the black uniformity is disappointing and easily noticeable in dim environments, especially in dark scenes. Color bleeding and image retention are not an issue whereas you might notice some slight dark color banding. As a typical TN monitor, its contrast is okay but falls behind the performance of VA monitors. 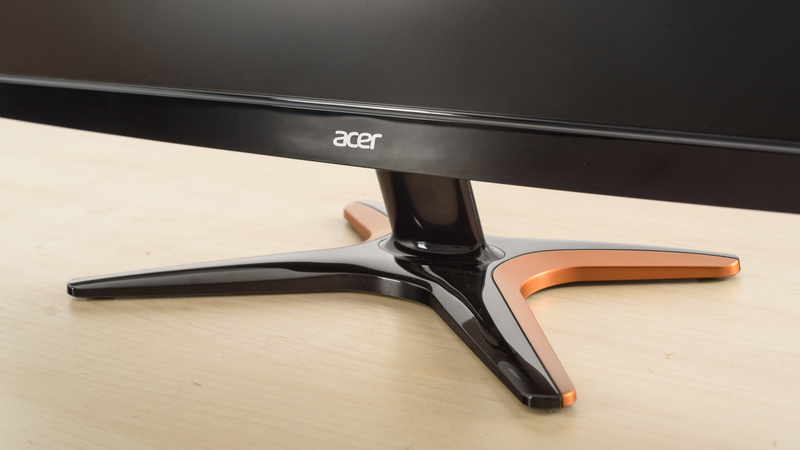 The Acer GN246HL has a mediocre native contrast ratio, in line with other TN monitors. In dark environments, blacks look more like gray. However, when viewed in the presence of ambient light this is less noticeable.  The Acer GN246HL does not have a local dimming feature. The video is for reference only. 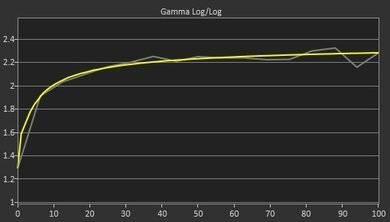 The SDR peak brightness of the Acer GN246HL is great. 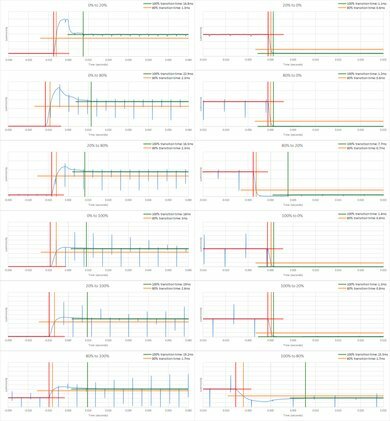 It is quite uniform as it doesn't change over time or with different screen content. It will keep you satisfied even in challenging environments. The Acer GN246HL does not support HDR. The horizontal viewing angle of the GN246Hl is poor. Red shades remain slightly more accurate when viewed at an angle, but the overall behavior is typical of a TN-type LCD monitor. 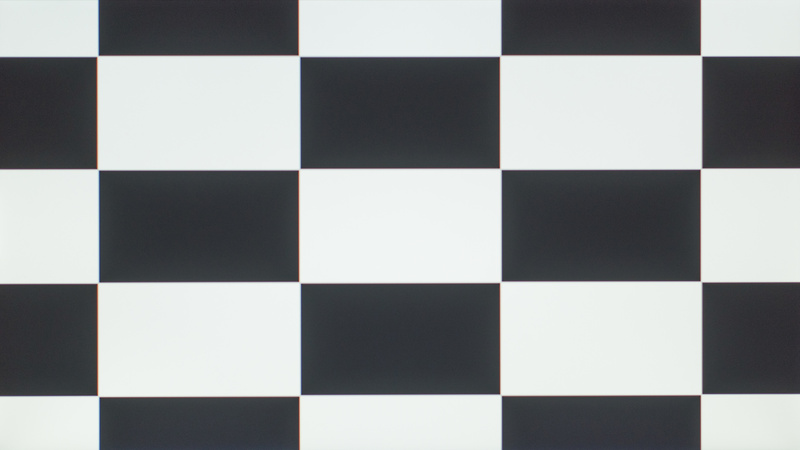 Blacks get noticeably darker with slight moves off the center and picture quality diminishes significantly. 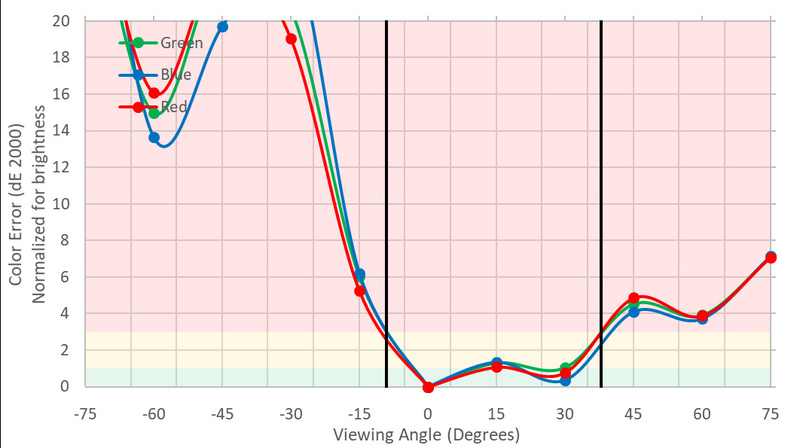 The vertical viewing angle is sub-par. When viewed from below, colors shift quickly and brightness diminishes fast. 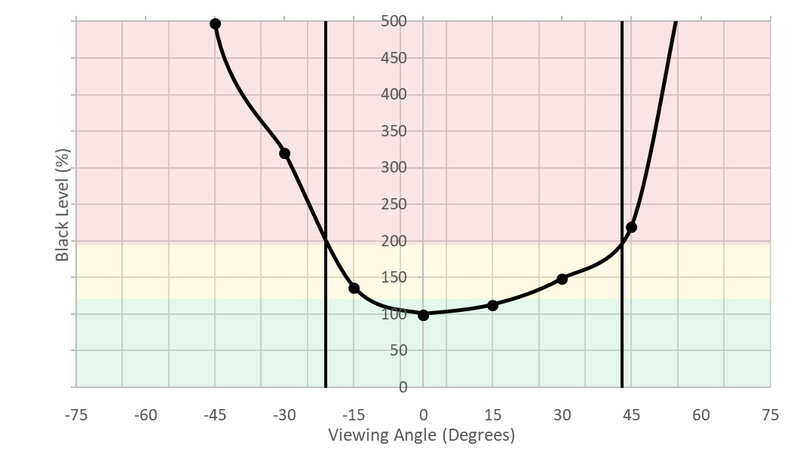 When looking from above, results are better. The picture is retained at ok levels for bigger angles and this will please those looking at the GN246HL while standing. The gray uniformity is good. Little clouding is noticeable and on the 50% gray picture. 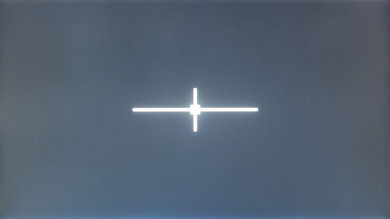 The image looks darker towards upper side in the photo. 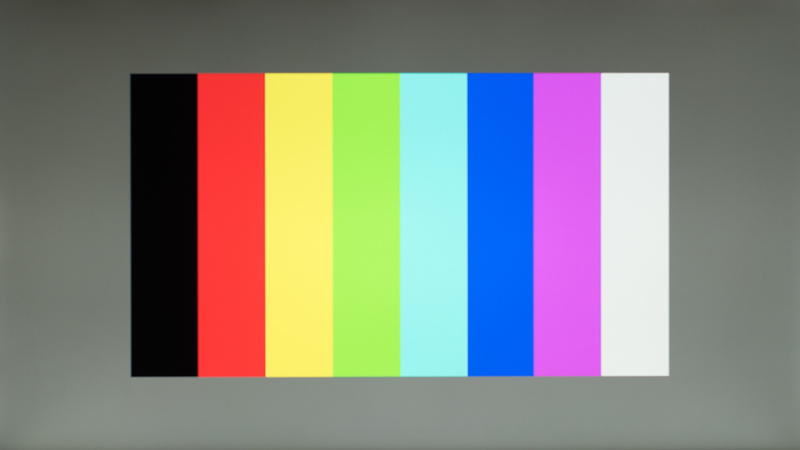 This is the result of the narrow viewing angles, which causes different sides of the screen to appear slightly different colors. However, this should not cause any issues when browsing the web or watching YouTube. The black uniformity of this monitor is poor. Backlight bleed is evident all over the screen; any dark video content, or dark video game scenes when viewed in a dark room will not look good and black will look more like gray. 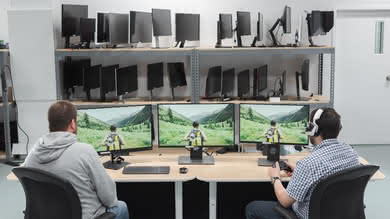 However, if the monitor is used in brighter rooms such as an office where the dark content is more rare, this will not be an issue. 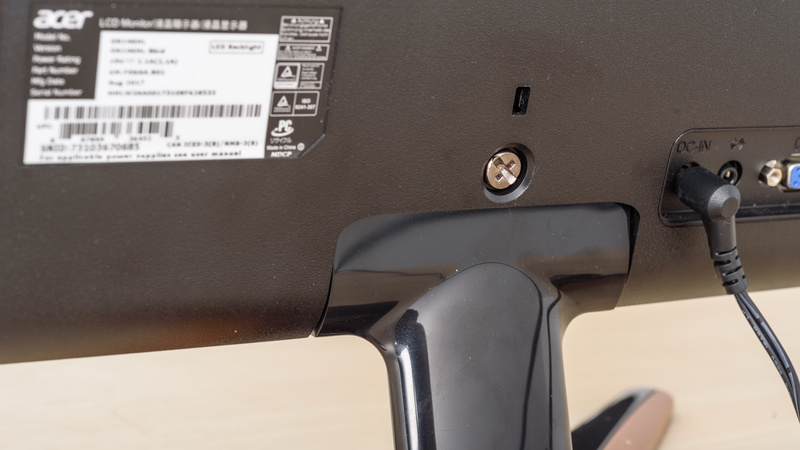 Out of the box, the accuracy of the GN235HL monitor is decent when the picture mode is set to 'User'. The color temperature is a little warmer than our desired 6500K. The color accuracy of the monitor is a bit off at 3.1. For some people this might be noticeable. 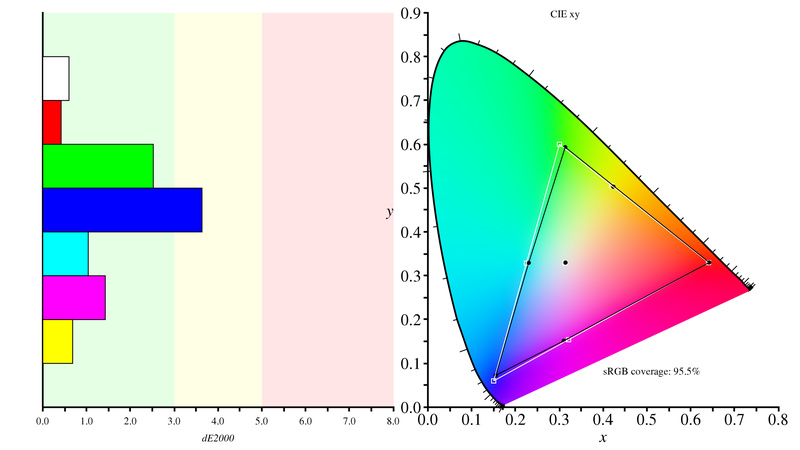 The Acer GN246HL achieves near-perfect color results with a few corrections to the settings. 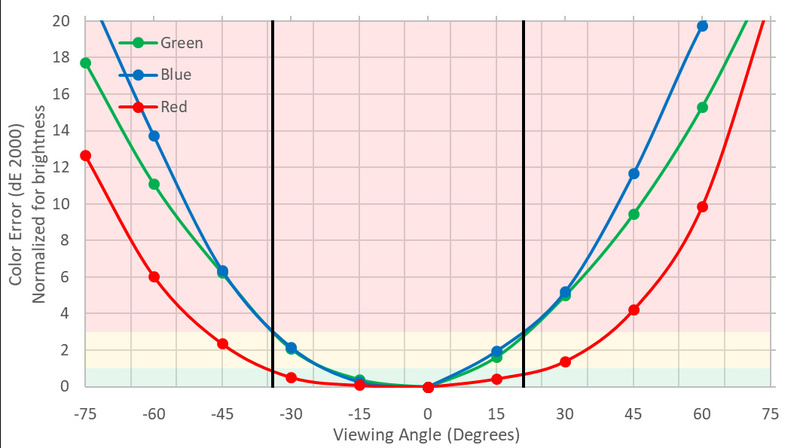 Color Temperature is on Target and Color dE improves considerably. White balance is also almost unnoticeable. 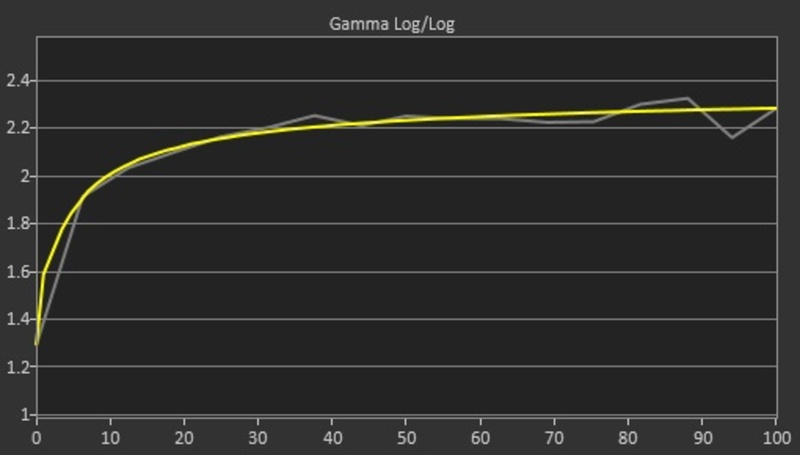 The gamma is pretty close to the target of 2.2. 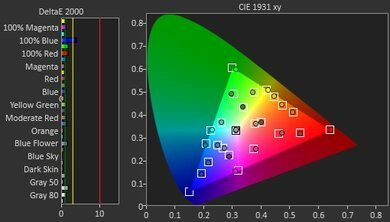 The Acer GN246HL has a great color gamut. 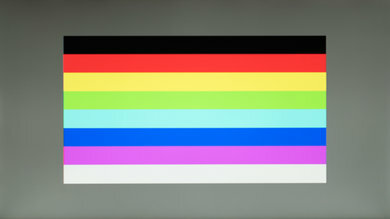 The standard s.RGB color gamut is nearly fully covered, great for home use or for gaming. Coverage of the wider professional Adobe RGB color space is poor, and it is not recommended for professional use. Great color volume. 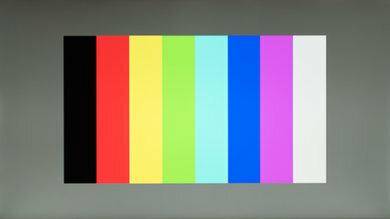 The Acer GN246HL covers most of the more widely used s.RGB color space, but can't produce deep dark colors. 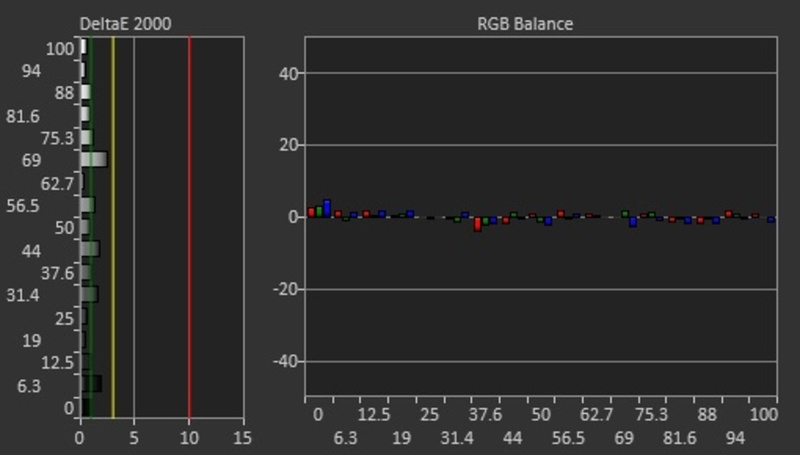 Adobe RGB color volume is good, but limited by its Adobe RGB color gamut. 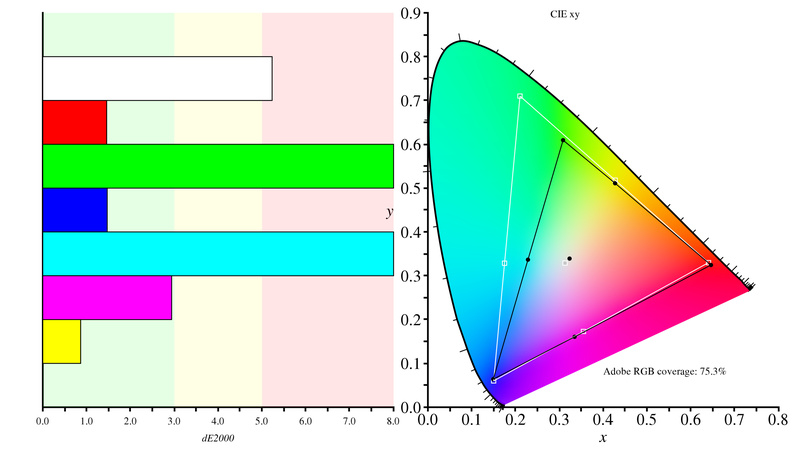 The Acer GN246HL does not support HDR, as such HDR Color Gamuts are not supported. The Acer GN246HL does not support HDR, HDR Color Volumes are not supported. 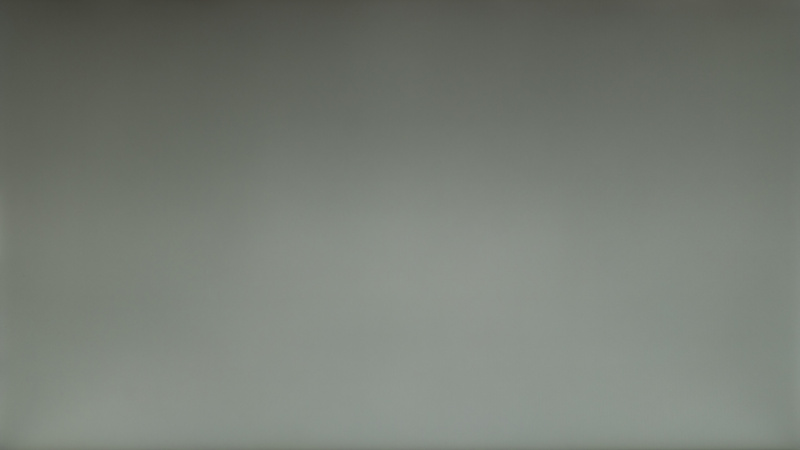 There is no image retention and this is great! 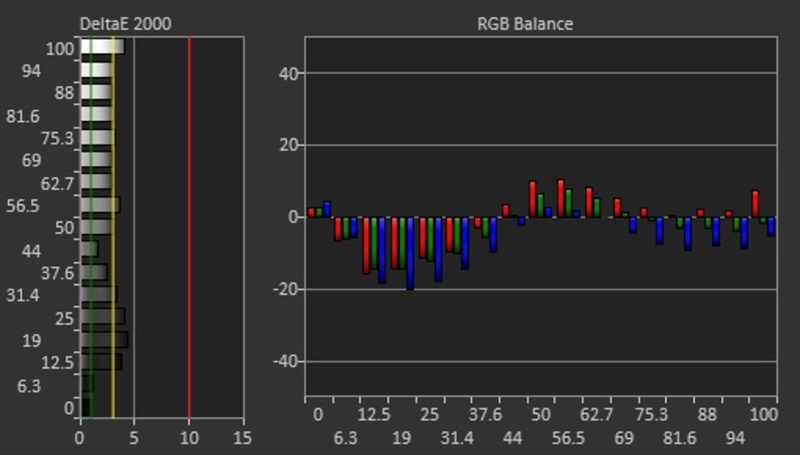 The gradient performance of the GN246HL monitor is good. 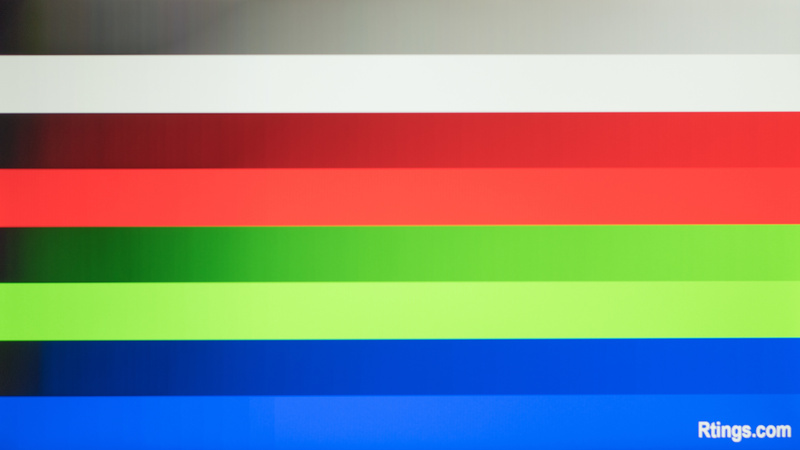 Some 8 bit banding is visible, especially in the dark shades of colors. This should not be an issue in most cases. The Acer GN246HL does not produce any color bleed. The reflection handling is good. 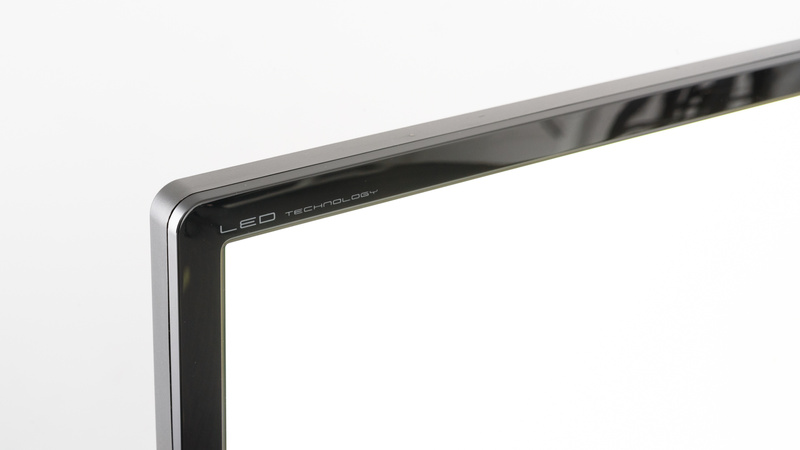 The light-matte finish diffuses specular reflections across the screen thus reducing their intensity. For most environments this is good, but in well lit rooms, reflections may be distracting. The Acer GN246HL has very good motion handling. There is very little motion blur due to the fast response time, but there is visible corona behind moving objects due to the pixel overshoot. This cannot be reduced as the pixel overdrive cannot be changed. The 246HL uses PWM to dim the backlight, as such there is flicker that is noticeable under certain circumstances. 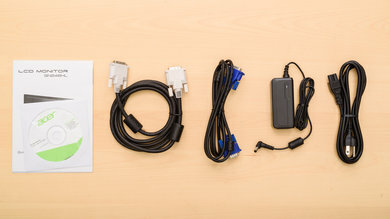 It supports a native refresh rate of 144Hz which is great for fast motion, but it is only supported when connected with DVI-DL. The Acer GN246HL has an excellent native reponse time but there is a lot of overshoot which causes a visible corona effect to the left of the motion blur logo. Unfortunately, the overdrive is not customizable and the overshoot cannot be reduced. 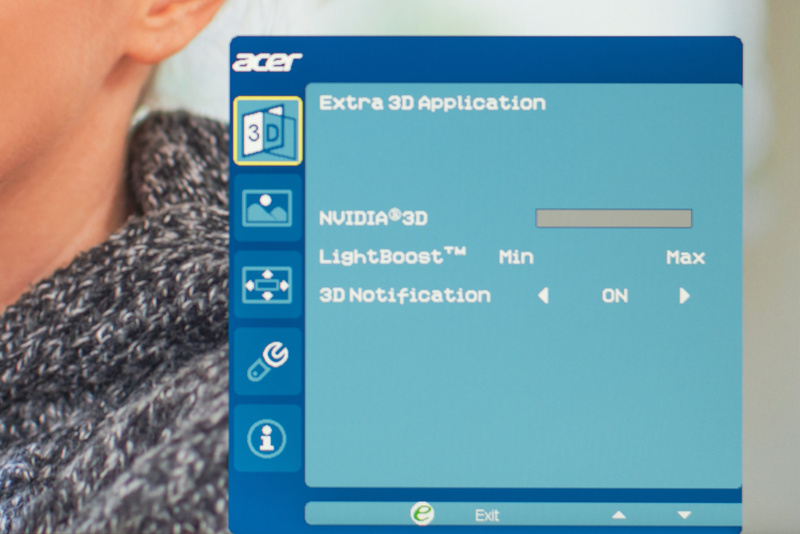 The Acer GN246HL uses PWM to reduce the backlight, and there is flicker at all brightness levels. 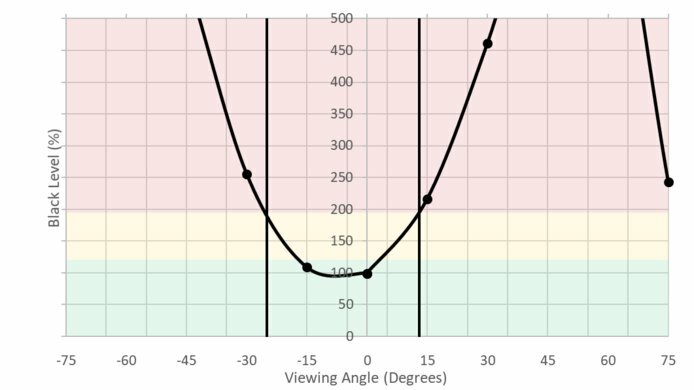 There is an optional BFI mode that reduces the flicker frequency to improve motion with 3D content. This feature uses NVIDIA's 3D Lightboost technology. It is possible to modify the system to use this technology all the time. 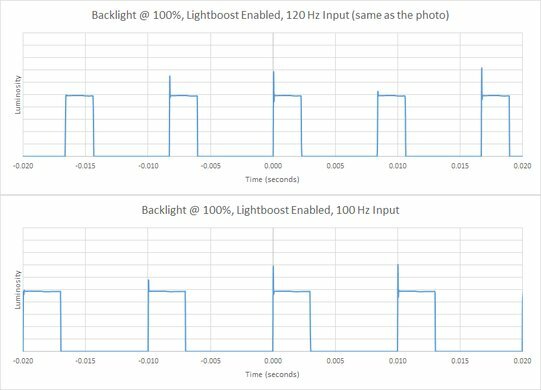 BlurBusters.com has an excellent article that covers how to activate BFI on a Lightboost monitor. When activated there is a significant change to the color temperature (it is too warm) and this can't be changed. The contrast slider becomes 42 by default, and when raised colors are clipped. 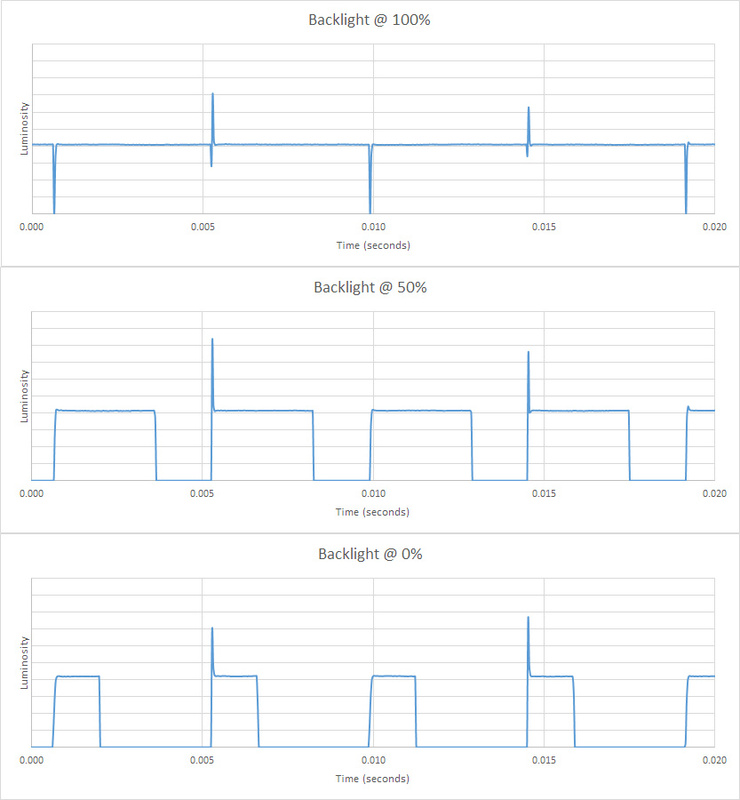 Since the BFI mode turns the backlight off for longer periods of time the overall brightness of the screen is significantly reduced to 121 cd/m². The contrast ratio is also reduced to 786 due to the change in colors and contrast slider. 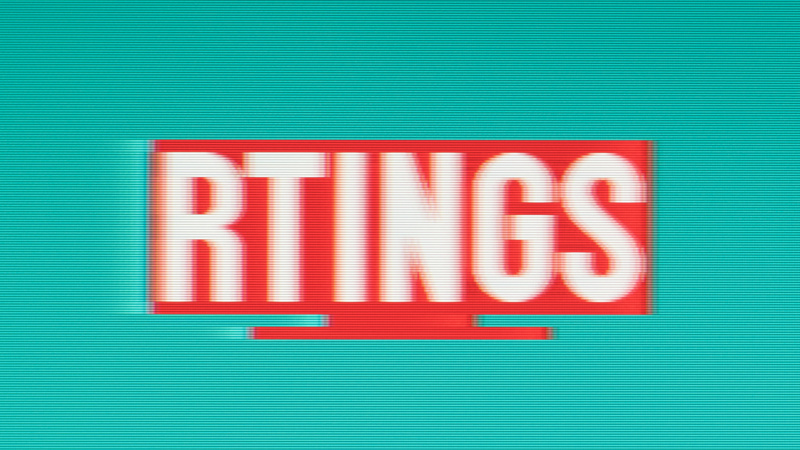 The contrast can be adjusted in BFI mode but causes more clipping. The Acer GN246HL has a native refresh rate of 144 Hz but can only reach this refresh rate when connected with a DL-DVI connection. 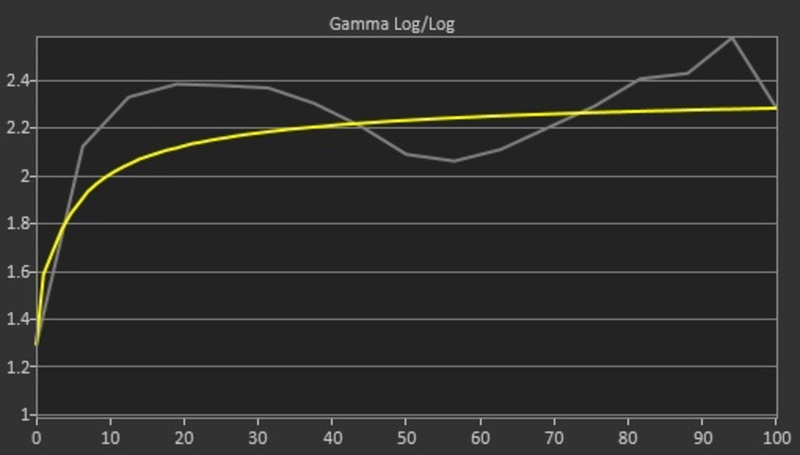 When connected with HDMI the maximum detected resolution is 60 Hz, but through custom resolutions this can be boosted to 76 Hz. 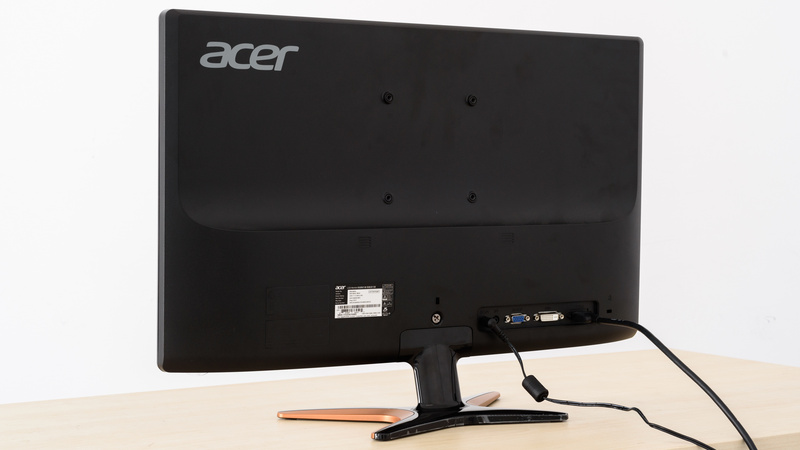 The Acer GN246HL has great low input lag, although it is at the high end for 144 Hz monitors. 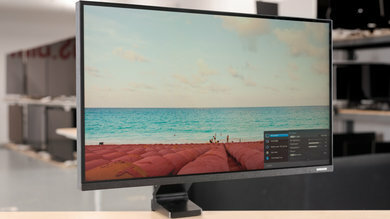 It has a 24" panel with a 1080p native resolution, which is good for this size but if you are used to 4k or 1440p monitors in larger sizes, you may find the resolution is too low. When connecting this display via HDMI, you will not be able to take full advantage of it. 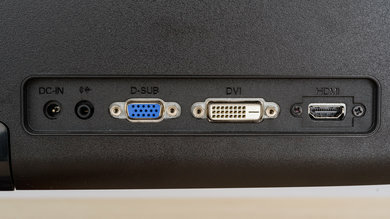 Unfortunately, it does not support DisplayPort, as such the best connector is DVI-DL, which is fairly standard on most recent PCs. 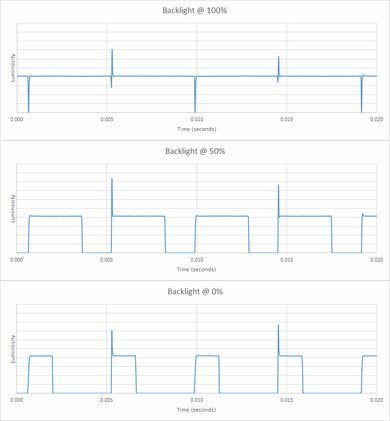 Input lag was measured with DVI instead of HDMI, as the native 144 Hz refresh rate is only possible over DL-DVI. 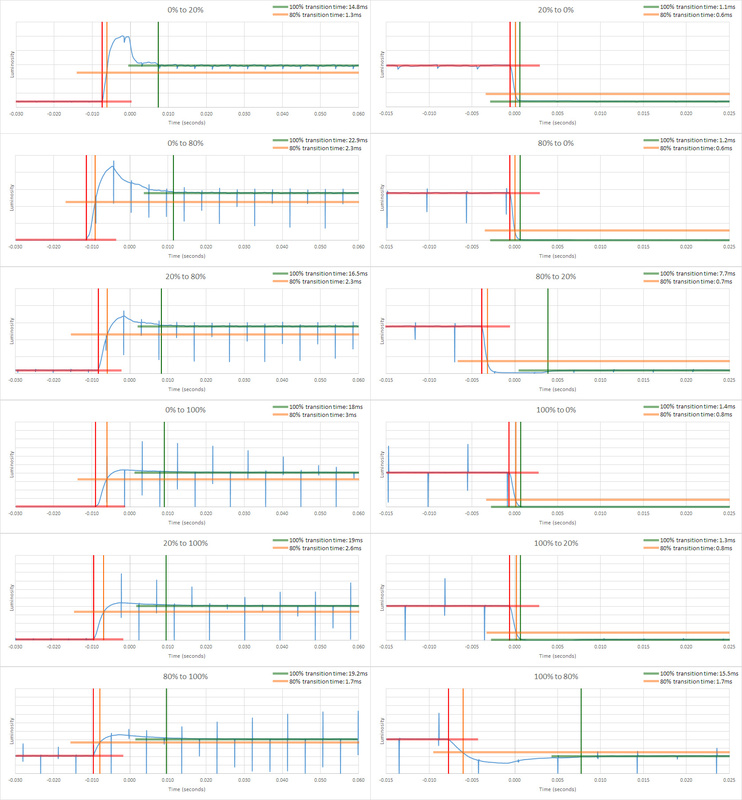 Input lag is higher than most 144Hz monitors, but still very good. Non-native resolutions are supported, but the native 144 Hz refresh rate is only supported at 1080p. 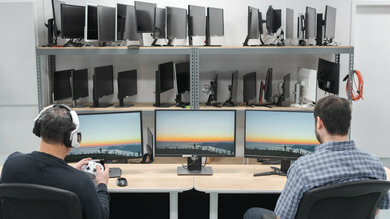 When selecting a non-native resolution, the graphics card will usually upscale the image to the native resolution, so most people won't notice this. 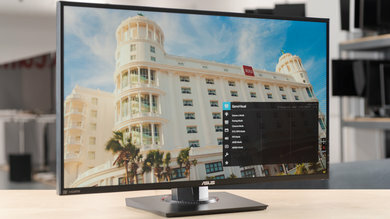 The Acer 246HL has a decent 1080p resolution, which is fine for monitors of this size. 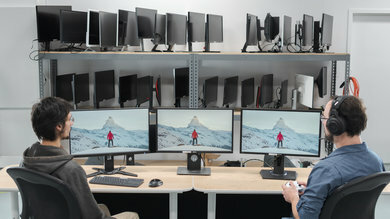 It doesn't have the pixel density of 4k monitors or 1440p moniors typically found in larger sizes, but most people will find it works well. 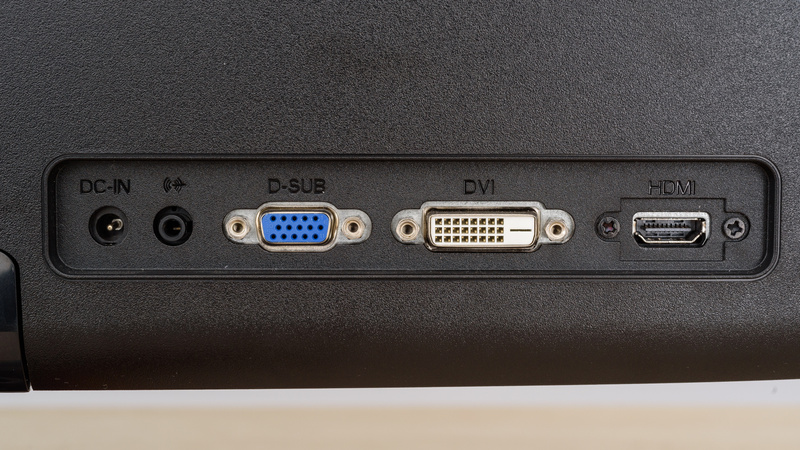 The HDMI port can only output at 60 Hz, unless a custom resolution is used in which case it can reach 76 Hz. RGB full range is not detected properly over an HDMI cable, so it is better to use RGB limited or YCbCr 4:4:4. There is a TRS audio out jack that can be used to output audio to an external speaker or headphones. It works best with an amplified device as the output doesn't get very loud. The Acer GN246HL has fairly basic features. 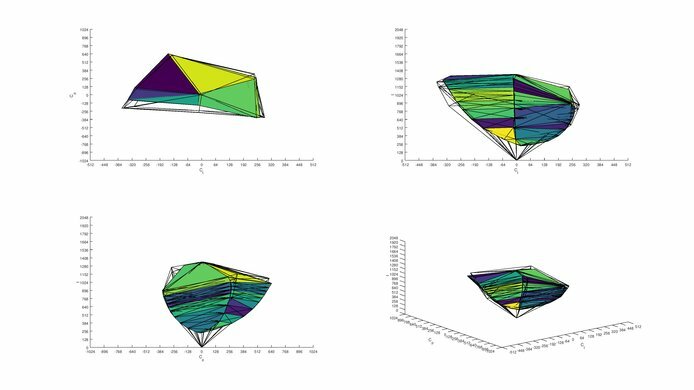 The OSD is simple and easy to navigate, but there are limited options. It doesn't have built-in speakers and the controls are not very intuitive. The Acer GN246HL does not have built-in speakers, but there is an audio out jack that can be used to send sound to headphones or a speaker system. This is not very useful as audio can only be transmitted over HDMI, and this monitor does not support 144 Hz over HDMI. 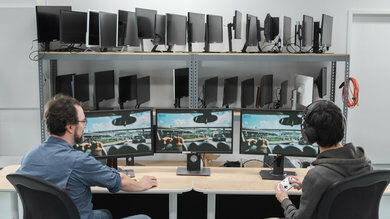 The monitor uses NVIDIA's Lightboost technology, which when combined with NVIDIA's 3D Vision Kit can be used to display 3D images by flickering the backlight in sync with 3D glasses.  It is also possible to enable the backlight flicker with normal content, as explained in the Image Flicker section. The OSD is quite limited, with only a few settings adjustments available. There is an array of 5 controls on the bottom right of the screen, plus the power button. The buttons aren't labelled, but they are mapped to OSD commands that are displayed on screen. 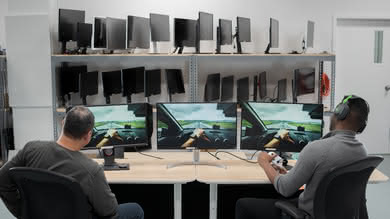 The controls aren't very intuitive and can be difficult to get used to. The buttons themselves don't travel very much and it isn't easy to tell when you actually pressed the button. 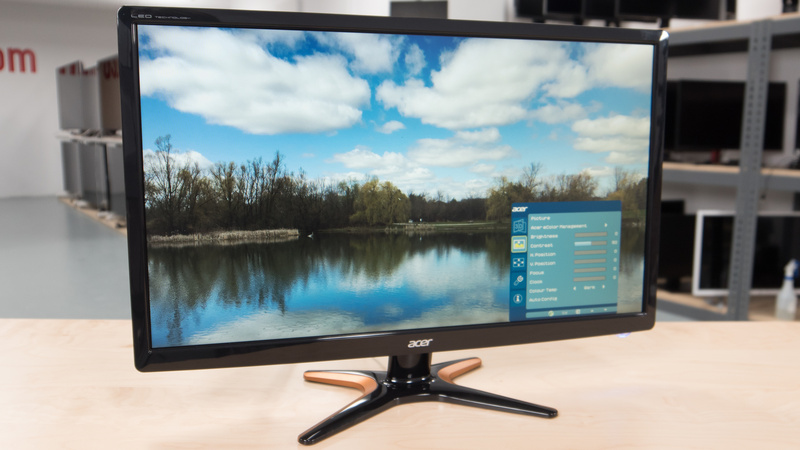 We tested the Acer GN246HL, which is a 24" 1080p TN monitor. It is also available in 27" (Acer GN276HL), and for the most part, we expect our review to be valid for both. 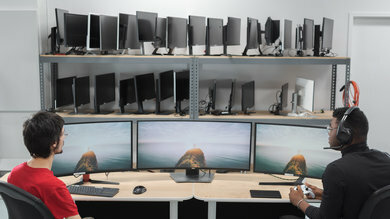 Left: Acer G257HU. 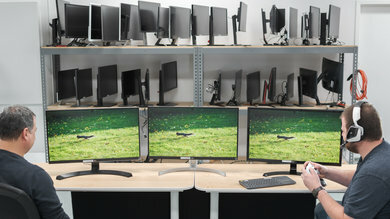 Middle: Acer GN246HL. Right: HP 22CWA. The Acer GN246HL is a basic 1080p monitor. 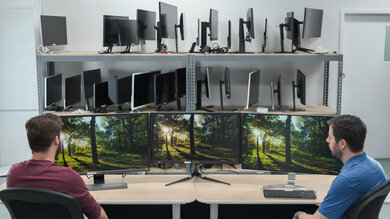 It is decent for mixed usage, but there are better monitors in the same price range. See our recommendations for the best 144 Hz monitors, the best PC gaming monitors, and the best budget gaming monitors. The Acer XF251Q is much better than the Acer GN246HL. The GN246HL has a faster 144Hz refresh rate, but it does not support any variable refresh rate technologies like FreeSync or G-SYNC. The XF251Q has a 75 Hz refresh rate, but it supports FreeSync. The Acer GN246HL uses PWM to dim the backlight, and this causes flicker that may bother some people, whereas the XF251Q is flicker-free. 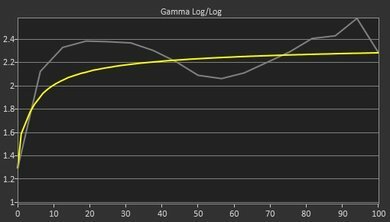 Finally, the XF251Q has much less input lag, especially when gaming at 60Hz. 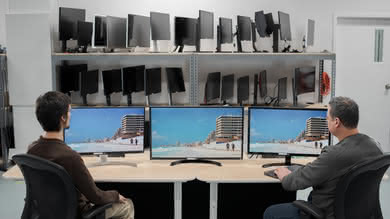 The Dell U2515H is more suitable for a room with wide seating. On the other hand, the Acer GN246HL is a very fast monitor with very good motion features. The Dell U2515H has better viewing angles and significantly better ergonomics so you can position it to your liking. Also, it has a higher resolution and marginally larger size, giving you more detail to work on. 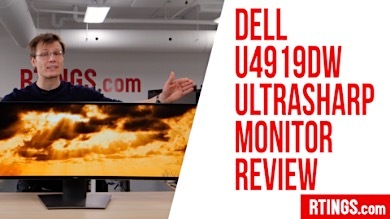 The Dell U2515H also has slightly lower input lag which is great for gaming. The Acer G257HU is better than the Acer GN246HL. 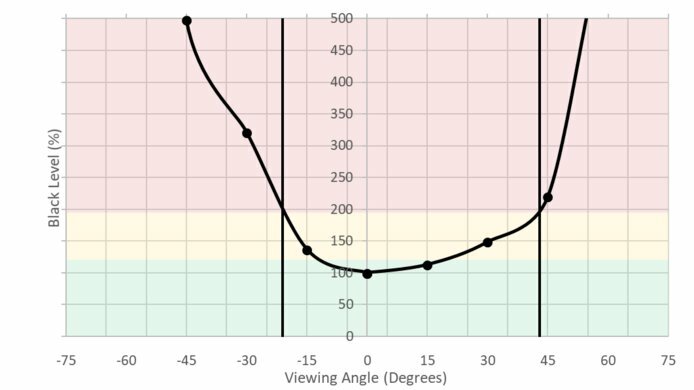 They both deliver similar overall picture quality, but the G257HU has wider viewing angles. The G257HU has a flicker-free backlight. 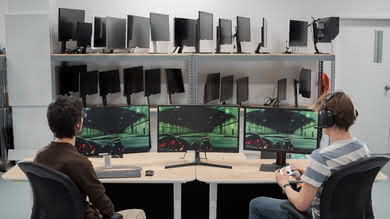 The Acer GN246HL has a higher refresh rate and better response time, great for gaming. If you plan to do collaborative work, then the Dell P2417H is a better choice due to better viewing angles. On the other hand, the Acer GN246HL is a better choice if you sit right in front of the screen in a brighter room. 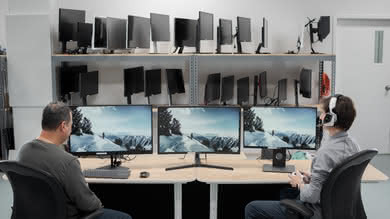 The Dell P2417H has significantly better ergonomics that allow you to place it as you like. The Dell P2417H has better input lag and thus is more responsive which is great for gaming. The Acer GN246HL, on the other hand, is slightly brighter and has a faster response time with less blur and a better refresh rate of 144Hz. The Acer GN246HL is a decent monitor for mixed usage. It is best suited for casual gaming. 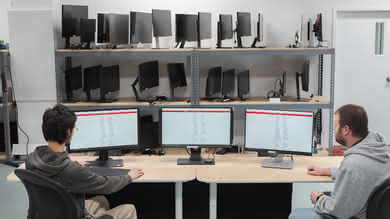 The lack of ergonomic features and poor viewing angle make it an okay choice for office use. 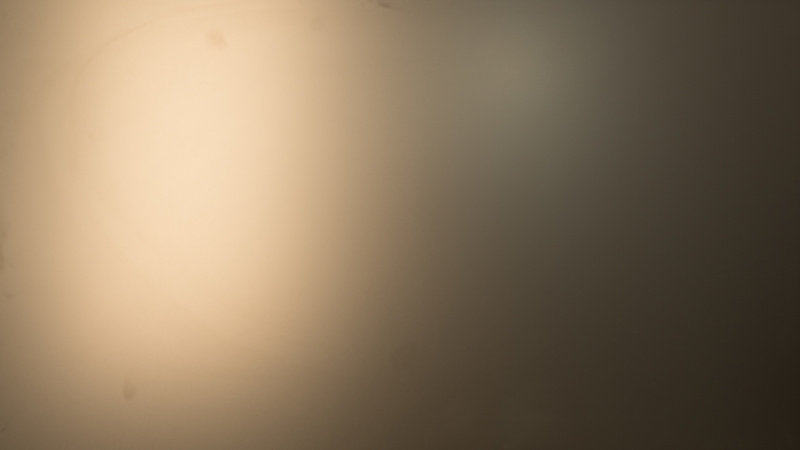 It has a poor contrast ratio and poor black uniformity, and is best suited for a medium lit room without much glare. Decent monitor for office usage. 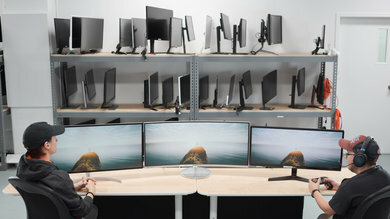 The native resolution and size are basic, many people will want a larger or higher resolution monitor. It has very limited ergonomic options, and it doesn't swivel or rotate so the screen can't easily be shared with neighbours. Decent monitor for casual gaming. The high refresh rate helps motion look smooth. It has great low input lag, but it is higher than similar 144 Hz monitors. 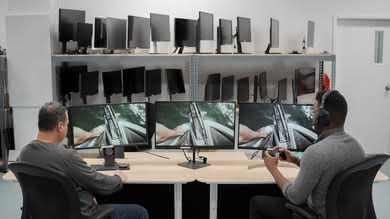 It doesn't support any adaptive sync technologies like AMD's Freesync. Late night gaming isn't as enjoyable due to the limited contrast and poor black uniformity. Decent choice for multimedia use. Watching movies or TV shows on Netflix or YouTube will look good, but the 1080p resolution will be limiting to some users. 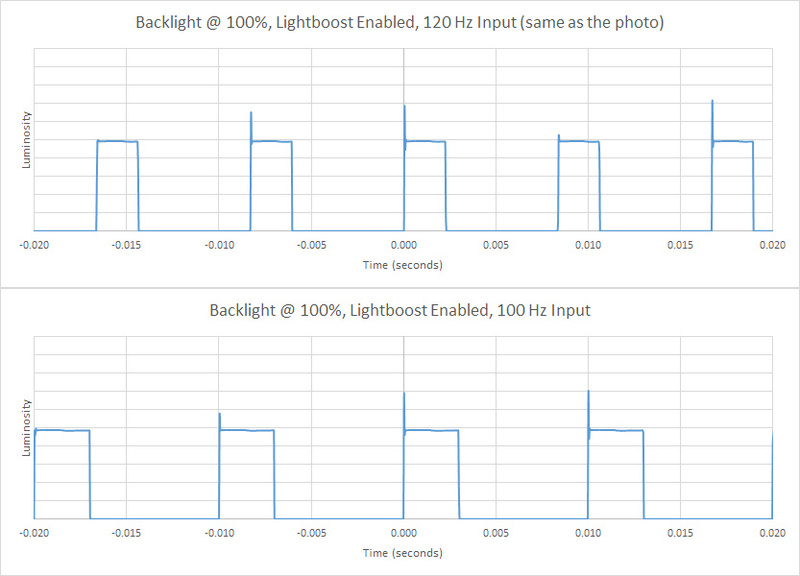 Dark room performance isn't great with the limited contrast and poor black uniformity. The viewing angle is disappointing, so it isn't great for sharing clips with other people. Decent monitor for media creation. 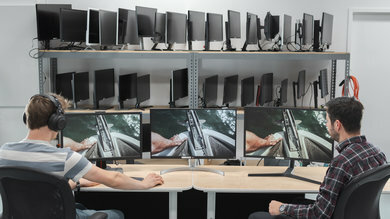 The 1080p resolution and the lack of ergonomic options might be limiting to some. 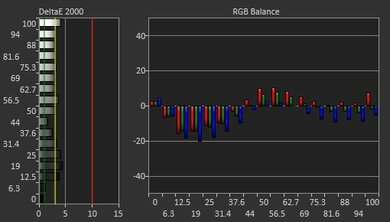 The poor coverage of the professional Adobe RGB color space makes it less than idea for professional users. Picture quality is decent, but the dark room performance isn't great and blacks are never truly black. HDR is not supported. 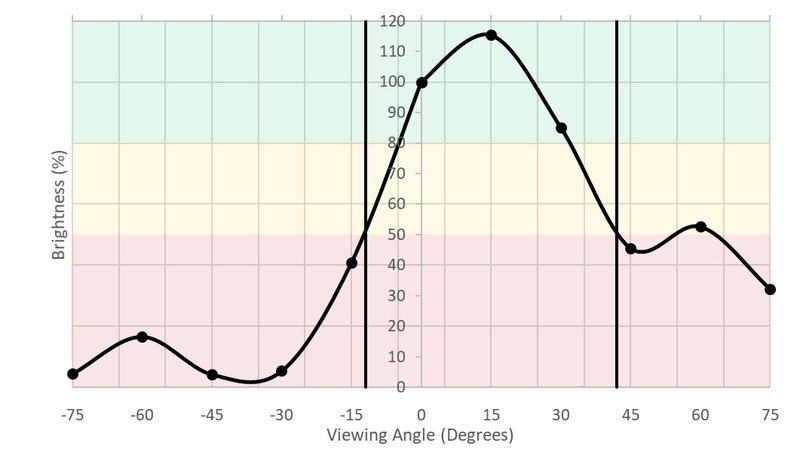 For HDR gaming, there aren't a lot of choices. 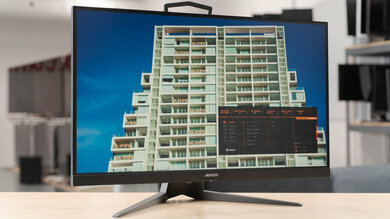 The Samsung CHG70 is a good choice.